Your UNofficial source for All Things Eph! As the interests of Ephblog and its’ chief voice narrow and narrow, The tone and pace seem to increase. 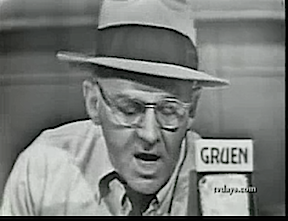 As an old fart, I am reminded of Walter Winchell and his frenetic delivery on both radio and television. Hence the need for a name for the lede to shortcut attention: a word or two that summarize the voices’ pov. If that strikes you as a narrow range of topics, under the broad category of “All Things Eph,” then . . . The most qualified president since WW2 has died. The most qualified modern presidential candidate ever. RIP and god speed HW. It was a pleasure serving with you as our commander in chief. And, as seems to be more and more scarce in politics, a gentleman! Never lost. We have had these arguments before, and we shall continue to have them. With intermediate machinations of “extreme” politics on both sides. The danger is always polarization. We fear that now more than before in our lifetimes. But the old sages, such as you, and Frank, have a thing no one can replace. I had a Master Chief who was senior to me before I made Master Chief. He gave me some great advice. Authority matters. Position matters. Having rules matters. But nothing replaces time on planet. Time on planet always matters. Perhaps Williams should phone some friends. If a comment you submitted does not show up, please email us at eph at ephblog dot com. Please note that commenters are required to use a valid email address when submitting comments. David Dudley Field '25 on Why Aren’t You Listening? Anon88 on Why Aren’t You Listening? anon on Why Aren’t You Listening? abl on Why Aren’t You Listening? mcb on Why Aren’t You Listening? EphBlog is powered by WordPress and delivered to you in 0.806 seconds using 42 queries..